Cat Christmas ornaments are cute tree decorations for those who like cats. Cat lovers will find plenty to love on this page. There are lots of cute cat ornaments to fill up your Christmas tree. This post focuses on ornaments featuring domesticated house cats. We have beautiful Old World style mouth-blown ornaments and the whimsical art of Patience Brewster. Check out the beautiful Ne’qwa ornaments that are painted from the inside. 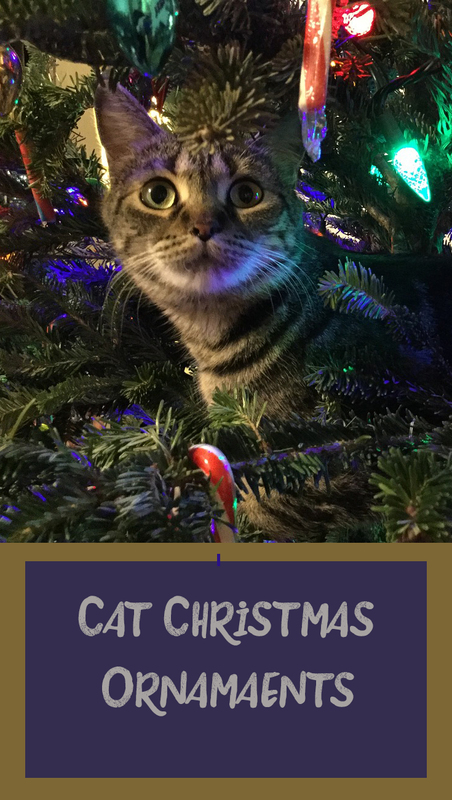 Cat Christmas ornaments are great collectibles and great gifts for your favorite cat aficionado! These Christmas items tend to go fast so if you see a cute cat ornament that you want, don’t wait to order it! 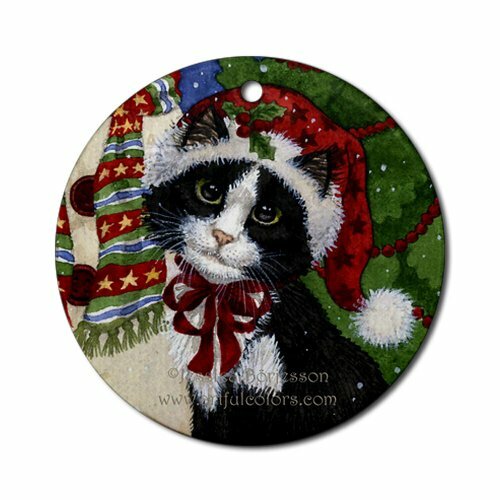 These round ceramic ornaments are decorated with art in the form of cute cats. These are done in the traditional Old World style and have a vintage look to them. Old World Ornaments are mouth blown glass and have silver inside to give them that distinctive glow. If you like cats and whimsy, then chances are you’ll love these cat ornaments by Patience Brewster. Her ornaments are imaginative and fun. You might see a cat in a tutu or maybe wearing a formal dress. Quite likely the cat will be wearing high heels, and there may be a birthday hat involved. As with many popular Christmas ornaments, those by Patience Brewster tend to sell out. Get them in the year they come out if possible because if you can find them after that they will most likely be more expensive. The amazing Ne’qwa ornaments are painted on the inside. What a detailed and painstaking task! The end product is certainly beautiful though, and worthy to be displayed on your Christmas tree. These are very special keepsakes for those who love their feline friends. They don’t have to be reserved for Christmas either. They can be displayed on an ornament stand and be enjoyed all year long.